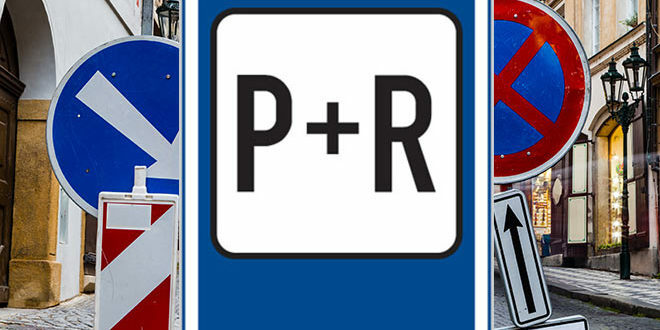 Prague town council chose places where P + R parking lots can be set up. A total of 62 appropriate sites have been selected. But it is not clear when the parking lots will be established and if the city shall establish them at all designated locations. A hunger for P + R places, of which the metropolis has desperately few, had intensified following the extension of paid parking zones. The lack of capacity of the P + R car parks in Prague, which now hold only about three thousand cars, has troubled drivers for many years, especially the ones based outside of Prague. After the expansion of the parking zones in Prague 5, 6 and 8 at the beginning of this autumn, however, the problem further deepened. In addition, next year parking places in the streets will decrease even more. Drawing coloured lines is required in Prague 4 and even Prague 9 is considering it. Therefore the town council in cooperation with city halls ordered the development of the analysis where the new car parks could be. So far, the authorities have chosen 62 suitable sites, the majority of them located in the outer parts of the city. However, it is unclear when they will be established and if the city will establish them at all designated locations. “We have started negotiations with the owners of the land. It is our goal to start to build as quickly as possible,” said Deputy Mayor Petr Dolínek (ČSSD). Drivers who commute from central Bohemia and from other regions of the Republic, after the extension of the zones, logically started to park in places where there are no blue lines yet. Not only does this cause flows of traffic in these places, but because of their cars, the locals are unable to park as well as they used to. The first new car parks should start operating in a matter of months, as Dolínek says. An example might be a car park in Tobrucká street, near the Bořislavka underground station. A car park was previously established there in the past, for about 150 cars, but it stopped being used some time ago, and is closed. The first cars should come back there in January. For that matter, Prague council is planning most of the car parks – ten altogether – in Prague 6. The largest of them, with a capacity of up to a thousand cars, should be on the Dlouhá míle near the airport. And a bit further to the south, two areas for car parking should arise near Ruzyně station, for a total of 350 cars. Prague also wants to build a parking lot on Vypich, Podbaba and in Veleslavín. We have been pushing the town council one-and-a-half years already. “I’m excited, but we could have been able to celebrate a lot sooner,” said Ondřej Kolář (TOP 09), Mayor of Prague 6. The town hall of the fifth town quarter came with a number of proposals as well. The biggest local car parking should be created next to Smíchovské station in Dobříšská street, and should accommodate five hundred cars. In addition, drivers will be able to leave cars at the Crematorium Motol and at Na Homolce. The car park in Barrandov will be enlarged as well. “Those are places that are suitable for P + R car parks. In Motol, for example, is the final station of the underground, and Dobříšská street is an important transportation junction, where apart from the underground there is also a train and a bus,” explained Radek Klíma (TOP 09), Mayor of Prague 5. The town hall said they have also chosen other places which would be suitable for the creation of only temporary car parks. “First for the needs of the P + R car parks but when we will manage to push them out to the edge of the city, they would be used only for our citizens,” said Klíma. From the largest planned parking lots, it is possible to mention the P + R for a thousand cars in the parking lot on Opatov, Černy Most and the depot Písnice, both for 800 cars, and a pair of parking lots Zličín for 500 and 720 vehicles. According to Dolínek, however, it is not enough just to build a parking lot, it is necessary to link them more with the public transport. Without direct and convenient access to the centre, commuters will not be likely to park there. “I consider the increase of parking capacity for the citizens of Prague, mainly in large housing estates, to be an even more fundamental priority than P + R,” said Dolínek. According to him, those are the places that are most difficult to park in for the citizens of Prague.